Anchor any outdoor dining set with a pair of swivel rockers. Designed by Peter Homestead, the Lakeside Sling Swivel Rocker invites modern families to connect with nature. 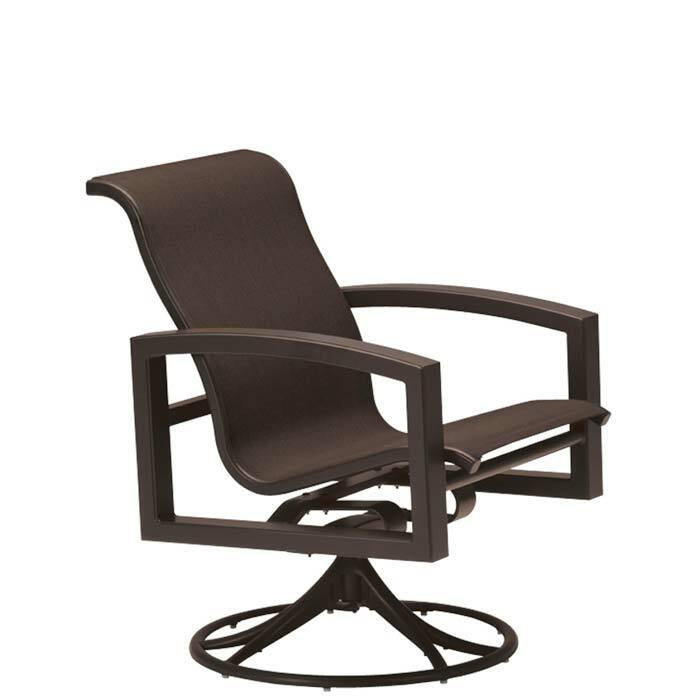 Lakeside Sling Swivel Rockers feature Tropitone's durable sling fabric, which will have guests rocking in relaxation. The all-aluminum swivel base means years of maintenance-free enjoyment outdoors. The Lakeside Sling Swivel Rocker invites you to relax and linger long after the meal is over.